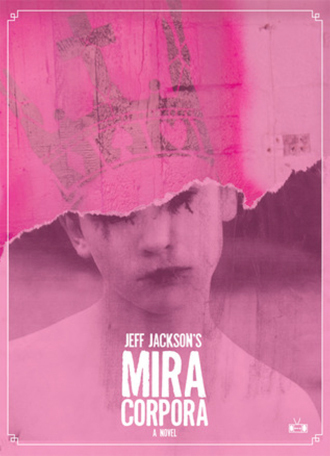 Mira Corpora is the debut novel from North Carolina based writer Jeff Jackson. Told from the rediscovered childhood and teenage journals of its narrator, it contains an impressive display of narrative plate spinning in which underground rock stars, formative sensual experiences, wild animals and familial cruelty all intersect and disperse into new astral bodies and ghostly shards. Jackson’s prose captures a dreamlike tone that gives the reader the experience of walking into an abandoned house of mirrors where every pane of glass is as clouded over and obscuring and oddly beautiful as the next; and yet despite this, there’s a forcefulness to the writing that propels the book and sinks hooks into the imagination of the reader and a shadowy fear constantly rumbling. 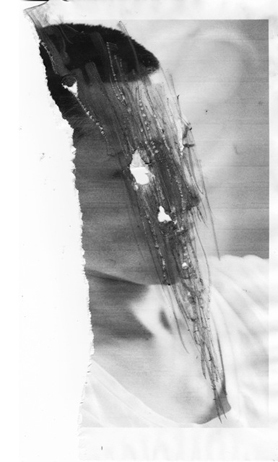 FANZINE: Mira Corpora feels very realized; it has a very distinctive tone – singular and carved out. It also has this feeling of something having swelled – an idea that has been allowed to come into fruition in a very natural way and my first impression is, over a long period. I guess this is a long way of asking when did it all start? JEFF JACKSON: You’re right about the swelling and the long time – the book took me over five years to write. It started with finding these old journals I’d been carrying around forever and realizing there was something in there to mine. I went through countless drafts, writing numerous episodes and trying to find the right structure for them. I cut over 100 pages and rearranged the entire book. There was a steep learning curve! FZ: I’ve been trying to sum up this certain thing that your prose in the novel has, and I came up with sensual. I don’t know if I can expand on that too much but the writing felt extremely visual, and it has this precise vagueness – a dreamlike quality to it – where you can see all this stuff happening, but it’s shrouded in mist or something – maybe that of memory? Was there a lot of experimenting with the voice of the book or was it a style that came quite naturally? JJ: The voice was different from anything I’d written previously, but it still came fairly naturally and the journals were a powerful springboard. There was a fair amount of experimenting in terms of how to control the voice and relay information, but the overall tone was set pretty quickly. I like the way you describe its effect. When I was writing, I thought of it as hovering in that hypnagogic state just before you wake up, where things have a tangible reality but there’s also a little bit of dream logic at play. For whatever reason, I’m drawn to emotional states and visuals and narratives that are perched between recognizable styles. FZ: Hypnagogic is a good description for it. Alongside that, there’s also this narrative propulsion that keeps the novel going, it contains the dreaminess but also feels very driving, constantly in motion. There’s a lot going on. I was wondering what other work (writers, music, artists) has been informative or of interest while you were working on Mira Corpora – were there any other pieces of work that you feel any kinship with? JJ: I’m glad you felt that propulsion – that was one of my goals. I hoped that if readers were compelled to keep turning the pages, they’d be more likely to give over to the dreamy tone and somewhat surreal images. In terms of influences, there’s too many to properly name! Dennis Cooper’s work was a beacon for his ability to create sophisticated and visceral texts that refuse clichéd literary trappings. Nabokov is a favorite and the way he structures his novels was a definite inspiration. I’ve always loved how Robert Stone uses plot in Dog Soldiers and the slightly hallucinatory tone of Denis Johnson’s Jesus Son. Sleater-Kinney’s music is something that’s always on my mind, especially the emotional intensity they achieve. I was also thinking about Harmony Korine’s strange sense of beauty and the seductive dislocations of Phillip Grandrieux’s films. I listened endlessly to the delicately disturbing electronic albums from the Ghost Box label. And I feel a real kinship with Michael Salerno’s artwork – it was an honor that he contributed to the book’s cover. FZ: The way that the narrator – also called Jeff – tells the story is through notebooks and journals. The past that he’s managed to evoke made me think a lot about memory, and then I reached the page when Jeff says: Maybe I’m not getting the details exactly right, but it doesn’t matter. The strict facts hold no currency here. I really liked that because it admits the idea that memory is false; memory isn’t the real thing but a reconstruction of events and feelings, a fluid imitation that is subject to change. For me parts of the book seem to be about this friction between memory and imagination – was this part of your thinking at all? JJ: Absolutely! The friction between memory and imagination, the fragile ways we construct our identity, the difficulty of knowing yourself, and the way storytelling is involved in all these things – these were definitely things I was thinking about. I think the stories we tell, especially about ourselves, tend to be very fluid and unstable. I wanted to explore that in various ways. JJ: Two memories, both probably close to a first. One: Tugging at a Christmas ornament and the tree falling over on top of me, the suffocating feeling of being buried beneath a thousand prickly fake pine needles. Two: Standing alone in the middle of the concrete patio and watching a dragonfly hover, its wings resembling halos in the morning light. JJ: Here’s another really early one: It’s a scene from a British TV show that I’ve never been able to track down. A group of teenagers walk through a desolate landscape of fields and stones. Later, they link hands and jump into a circle of fire in order to travel through time. It sounds kitschy, but it felt simultaneously fantastical and realistic. That program’s ability to mix styles and evoke unclassifiable feelings really haunted me. FZ: The most recent time you were moved by another artist’s work? JJ: Oh man, it happens all the time. Seeing El-P and Killer Mike live was inspiring for their expertise and sheer energy. Watching Upstream Color in the theater was thrilling – the aggressive editing and bold jumps in story between mind-control pills, pigs, and relationships. Reading-wise, I’ve been blown away by the poetry of Georg Trakl and Paul Celan, which is full of dark and disorienting images. Their work is controlled but hard to intellectualize, you have to intuit what the poems mean, almost physically groping your way toward the words, shuffling a few steps at a time, both hands extended. FZ: There are several references to the act of writing in the novel – handwriting, words, the narrator compiling journals in which to capture his life; and there are quotes from writers like Kafka and Blanchot – it added to the sensual feel that I got from the book – the physical act of creating something, and then I spotted a quote from Antonin Artaud which reminded me that you’ve previously written plays, right? Is there anything from your work in theatre, any techniques that you’ve been able to apply when writing your novel? JJ: I’ve written five plays and been involved in theatre for many years. Several actions often unfold on stage at the same time and working that way made it easier to layer some parts of the novel. We often create plays over several years of intensive rehearsal so that helped me not to panic during the book’s long gestation process. Through theatre, I’ve also picked up some tricks for working through seeming dead-ends: ways of thinking about gestures, radically reorganizing material, not being afraid to turn everything inside-out. Jeff Jackson’s Mira Corpora comes out September 24th on Two Dollar Radio.